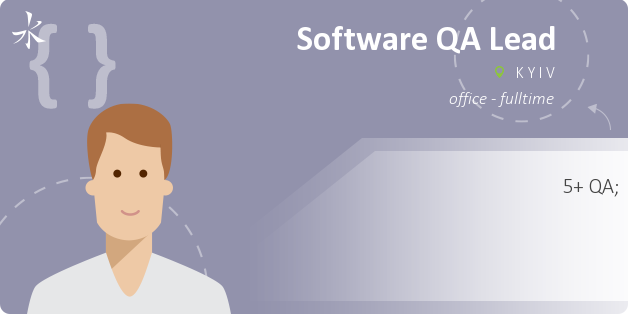 We are looking for self-motivated software quality assurance professional with 5+ years of experience in automation testing large-scale projects to manage all test automation creation. This position architects solutions, creates proofs of concept, mentors testers and developers, performs test case reviews and explores new technologies to improve our testing tools and procedures. Knowledge of test automation frameworks and open source tools (Selenium, Cucumber, Testrail, Protractor, NPM, WebDriverJS, Jasmine). Deep understanding of different automation approaches (BDD, TDD) and technology stacks (Angular/NodeJS/Java/.NET). Understanding of services (REST, SOAP), JSON and XML data formats. Good understanding of SDLC process (Agile/Scrum), experience in CI/CD, VCS (Git/SVN). Building and adopting large scale, cross-functional automation frameworks with well- balanced coverage across UI (web/mobile applications), backend integration and database. Collaborate with Product Owners, Analysts, Developers and other QA team members as required on acceptance criteria that need to be tested. Be familiar with new technologies and introduce them into testing process as needed.